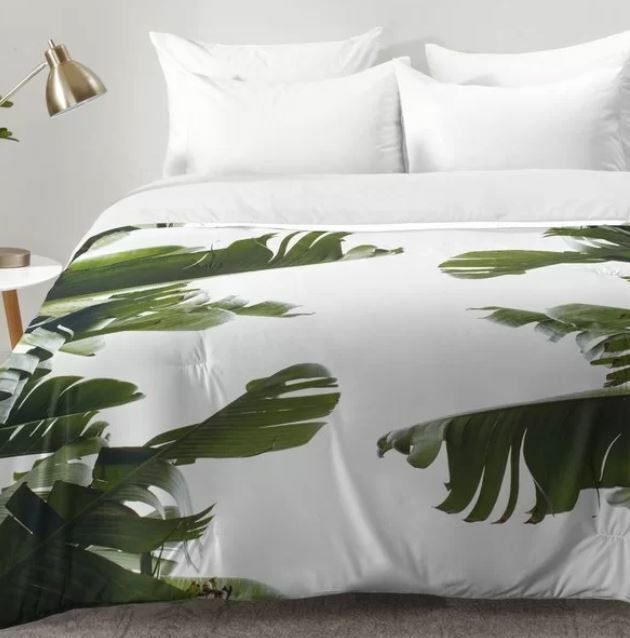 Looking for a modern palm tree comforter? 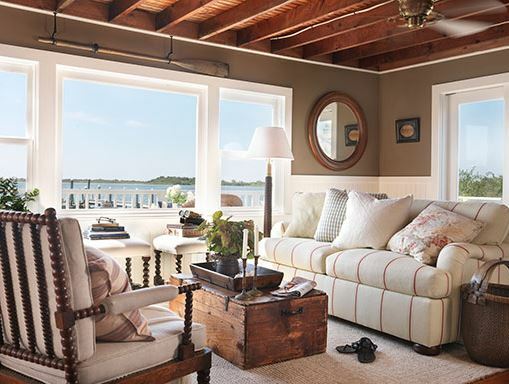 This fresh style works for a modern beach home or loft. 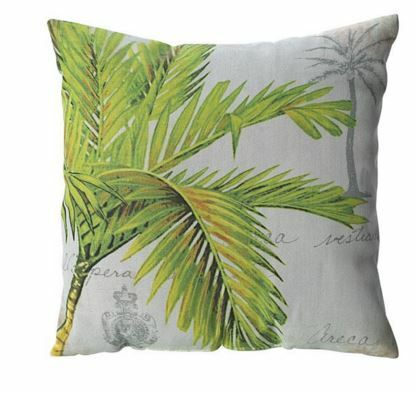 Don’t you love the large leaf print? The bold print feels sophisticated and clean. 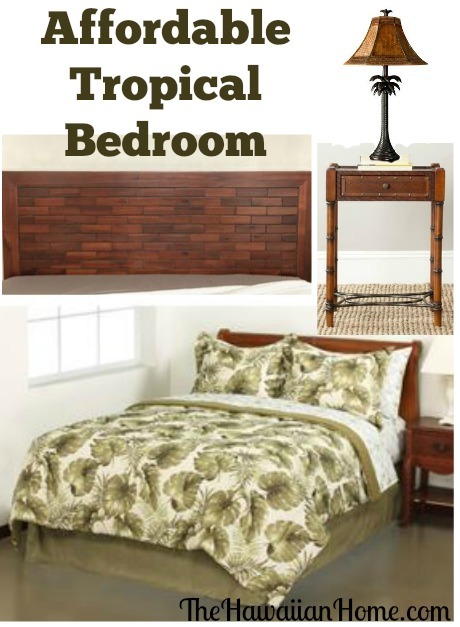 See more Hawaiian comforters here.